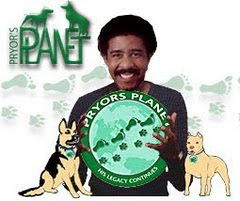 My husband, Richard Pryor, and I established Pryor's Planet shortly before his death for the prevention, rescue, rehabilitation and re-homing of abused and homeless dogs. Naturally, when Michael Vick was arrested for his heinous crimes against the dogs he was fighting, Pryor's Planet did all that we could do to advocate that Michael Vick be the "MASCOT" of abuse and torture for Pit Bulls and Pit Bull Fighting and to see he did the appropriate time for his crimes. We have worked hard to educate as well as care for the victims of Pit Bull fighting! A much misunderstood breed! You can only imagine the magnitude of our outrage at Vick receiving an award for COURAGE?! Did it take courage to murder these animals? Did it take courage to hang, drown, fight and electrocute dogs? I thought it simply took a depraved and evil, criminal mentality and psyche to do so! We understand you are pandering to the NFL as you set a horrible example and we intend on exposing this pathetic attempt at whitewashing Vick's crimes! You continue to damage the NFL by choosing this deranged individual who never paid for his crimes against the dogs he murdered! Eli is a 1 - 2 year old Mastiff, Scottish Terrier, Boston Terrier, Bull Terrier, Bulldog, Pekingese mix. (DNA Certified). Pryor's Planet rescued Eli from the Bakersfield Shelter where he was being held as evidence in an abuse case. He thanks us every day with lots of gentle kisses and hugs. Eli is good on the leash, loves everybody. He is healthy, neutered, micro-chipped and fully vaccinated. He is 70 pounds of pure love.